Interested in learning to ride sideways? Devon specializes in both starting people and horses aside and improving their skills, especially over fences. Her students successfully show, hunt, and/or race sideways. We provide instruction both in the ring and cross-country. She can also provide long-distance instruction through video critiques. If you are interested in riding with Devon, please contact her. 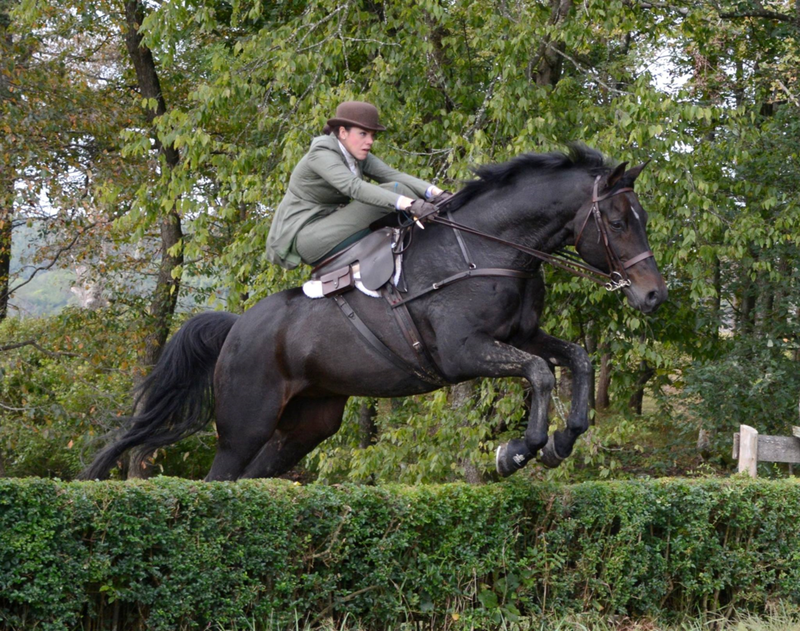 Devon on Barrister hunting with Bull Run Hunt, Culpeper, VA, in October 2016.